The Great Passion Play , “America’s #1 Attended Outdoor Drama,” opens on Friday and Saturday, May 4 and 5, to start its 50th year in performance. With more than 150 actors and live animals on a small village-sized set, visitors become active observers of Jesus Christ’s life, betrayal, death, and glorious resurrection. 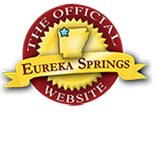 Whether it is the impressive set or the subject matter, the Great Passion Play in Eureka Springs is “America’s #1 Attended Outdoor Drama” with nearly 8 million visitors. The Play runs May through October, but the Christ of the Ozarks, Bible Museum and gift shop are open year-round. The Great Passion Play’s 2018 50th year anniversary season will run from the first weekend of May through the last weekend of October. For reservations, performance schedules or special event information, click here. Join the 7.8 million who have seen “The Greatest Story Ever Told” at The Great Passion Play in Eureka Springs, Arkansas. Opening May 1, 2018, The Great Passion Play is happy to announce the new hiking and biking trails on the Passion Play grounds. These trails are free to take with donations gratefully accepted on most days. On days the Holy Land Tour is performed from 12:00pm-4:00pm, to walk the trails you need to have a Holy Land ticket to take the trails. Click here for more information. This entry was posted on March 1, 2018 by service424 in Arts & Culture, Attractions, Family Fun, Mountain Biking, Road trips, Things to Do and tagged Bible Museum, Christ of the Ozarks, Eureka Springs, Great Passion Play, Mountain Biking, Passion Play, photography, zoo.